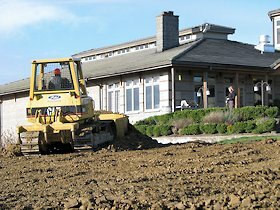 While we enjoy working in the vineyard area, Pihl always has several ongoing commercial projects. We have done earthwork and utilities for many local wineries, colleges, medical centers and other businesses. Pihl Excavating has performed site work and utilities for solar arrays for several wineries including Adelsheim, Domaine Droughin Oregon, Grand Cru, Lemelson and Patricia Green.